Tired of parking on dirt and gravel? It might be time to get your driveway paved. If that’s something you’re looking into, why not go with the best paving contractors in Milford? JD Asphalt Inc. is your go-to contractor for every paving job in the area, from industrial roads to the smallest residential driveways. There’s no job too big or too small for us here at JD Asphalt Inc. We’ll take on all of your asphalt paving jobs because we’re the paving contractors that put your needs first. We offer a multitude of services to help your driveway look great and stay that way for years to come. Whether you’re paving an entire circle drive or just a small parking spot for your car, we will do everything you need to make it last. We’ll lay the paving, do all of the resurfacing and sealcoating, and we can even take care of all of your future repairs. When it comes to your driveway, you deserve the best. Are you curious about the benefits of recycled asphalt? Give us a call today! We can definitely help you decide which type of asphalt to choose for your paving job. We Do Paving Repairs, Too! Even if we didn’t lay your paving, we will gladly come to fix it. We can resurface old asphalt and repair any cracks, holes, or wear. You can call us for even the smallest amount of damage. No job is too big or too small for these paving contractors! We can do routine maintenance as well, making sure that your sealcoating or chip seal continues to protect your driveway long after we’ve paved it. Maintaining your driveway is the best way to boost and maintain your home’s curb appeal, so why not invest in it? 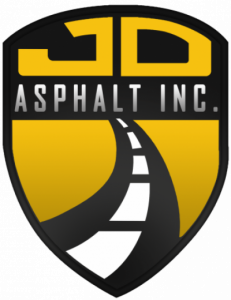 At JD Asphalt Inc., we let our experience speak for itself. We’ve been serving the communities of Milford, Dover, Bear, and Georgetown for over 70 years since founding the company in 1948. We’ve done some of the longest-lasting residential paving jobs in the area, so we’re sure we can handle whatever your driveway has in store. We are licensed, bonded, and insured for your peace of mind, and we will do our best to work with your unique specifications for your driveway. So when you need a paving contractor for your residential asphalt in Milford or Dover, call JD Asphalt Inc.